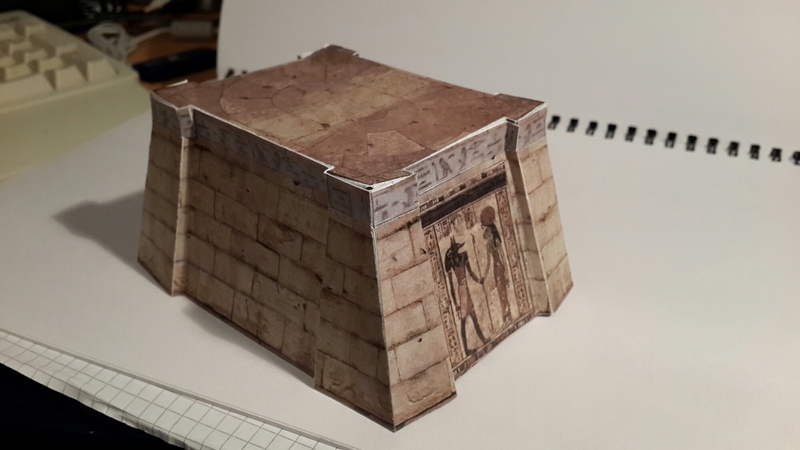 prototypes of a pepakura temple buildings. hopefully these can be made as printed precut pages to be included with the game. terrain in a box! They need a lot more development though. I sped through the modelling and texturing process a bit fast to prove the concept – so there are some glitches. 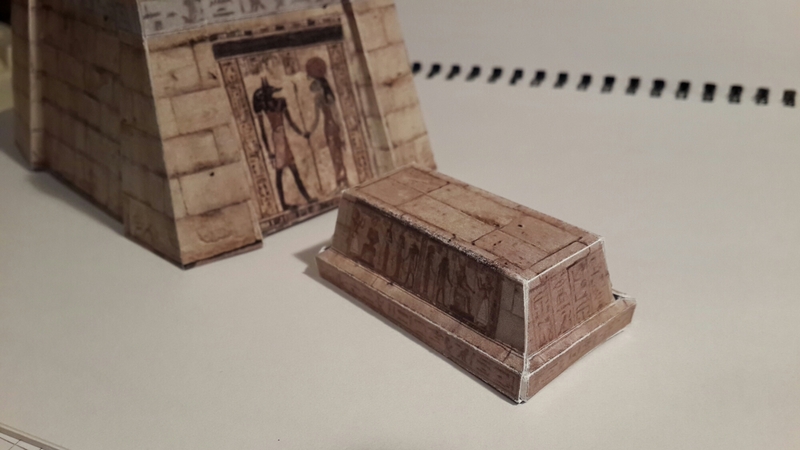 some of the modelled details came out a bit small and fiddly in paper. they will need to be a bit more streamlined and easy to assemble.